It looks like Halo Infinite will be more RPG-like, or at least include more RPG elements, than previous entries in the series. At least this is what appears to be the case, judging off a new job listing for the Xbox One and PC game. Earlier this month, 343 Industries and Microsoft posted a job listing for a Senior Systems Designer that loves Halo, narrative based games, shooters, and of course is qualified. But all of that is to be expected. What isn't though is the qualification of familiarity with RPG mechanics. Again, all of this sounds about right, except for the "familiarity with RPG....game mechanics." Now, I don't know about you, but I don't consider the Halo series an RPG even in the most liberal sense of the word. Further, it's not really even a series with RPG mechanics, unless we're talking about its basic online progression features. So, this begs the question: why the heck is 343 Industries putting familiarity with RPG game mechanics under requirements, as in, if you don't have that, get the heck out. Well, I don't know. But it seems to suggest that Halo Infinite will, at the very least, have more RPG mechanics than previous games, though how this will manifest, who knows. Interestingly, this does some what line-up with the game's director saying that the shooter will reward exploration, which normally goes hand-in-hand with RPG mechanics. Unfortunately, all we can do right now is wait and see. And seeming we may not hear about the game until E3 2019 this June, we got quite a bit of waiting still to do. 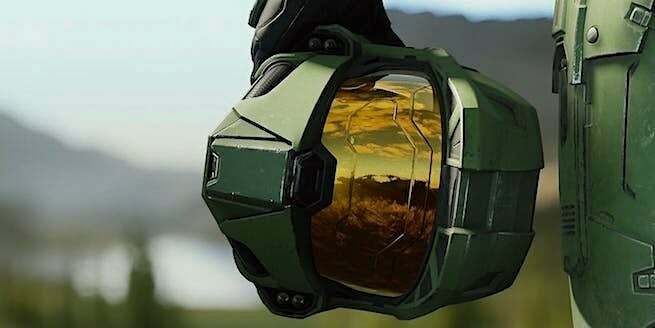 Halo Infinite is in development for Xbox one and PC. At the moment of publishing this, there's been no word of release date or even a release window.